What are you doing with the next 2 years of your life? 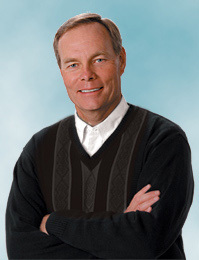 Charis Bible College (CBC) is a practical training school founded in 1994 by Andrew Wommack. Andrew is a Bible teacher with a profound message emphasizing God’s unconditional love and grace. His television program, the Gospel Truth, broadcasts daily across America and around the world, changing the way the body of Christ sees God. When Andrew launched CBC, he wanted it to be more than just a school of academics. He wanted a practical training program that would combine the academic study of God’s Word with practical ministry experience. CBC is fulfilling that vision. Many attend to answer a call from God and prepare for ministry. Others come just to develop their own personal relationship with the Lord and help loved ones and friends close to them. Whatever the motive, it’s a life-changing experience. The first year is spent primarily in the classroom getting a strong, biblical foundation. The second year combines classroom teaching with hands-on training in real ministry situations and the privilege of participating in one missions trip abroad. And for those who believe they are called to full-time ministry, the third-year apprenticeship program can provide great on-the-job experience. CBC offers the ideal environment for transformation, as your mind is renewed by the Word of God. For some, this two-year commitment has restored their lives and their faith. For some, it has been the beginning of a new adventure with God. And for others, it has been the discovery of God’s call on their lives. If God is calling you to CBC, be obedient and take the first step to fulfilling your God-given destiny.